The YCAR community welcomes Abidin Kusno as he begins his term as the Centre’s new director on 1 July 2017. Abidin Kusno joined York as a Professor in the Faculty of Environmental Studies in 2015, and has served on YCAR’s executive committee. Before his arrival at York, he was the Canada Research Chair in Asian Urbanism and Culture at the Institute for Asian Research at the University of British Columbia. He also held previous positions at New York University and SUNY Binghamton. Professor Kusno’s academic background is in Architectural Design and Engineering (BA from Petra University, Surabaya, Indonesia) and Art History (MA and PhD from SUNY Binghamton). His highly respected academic work draws upon a range of fields including urban studies, history, politics, cultural studies, architecture, design and geography. His research focuses on Indonesia in particular and he is a speaker of Bahasa Indonesia and Hokkien. 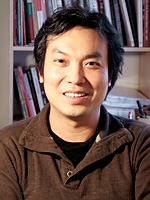 Professor Kusno’s books include: Visual Cultures of the Ethnic Chinese in Indonesia (2016, Rowman & Littlefield); After the New Order: Space, Politics and Jakarta (2013, Hawaii University Press); Appearances of Memory: Mnemonic Practices of Architecture and Urban Form in Indonesia (2010, Duke University Press); and Behind the Postcolonial: Architecture, Urban Space and Political Cultures in Indonesia (2000, Routledge). A warm welcome to Abidin!